The highly-anticipated Honda Gold Wing has arrived and we are delighted to announce that HGB Motorcycles are one of the first dealerships to receive this spectacular machine at our showroom! Completely redesigned and hosting a brand new chassis, engine and suspension system along with the 7-speed DCT auto gearbox, prepare to travel beyond the horizons aboard the ultimate tourer. 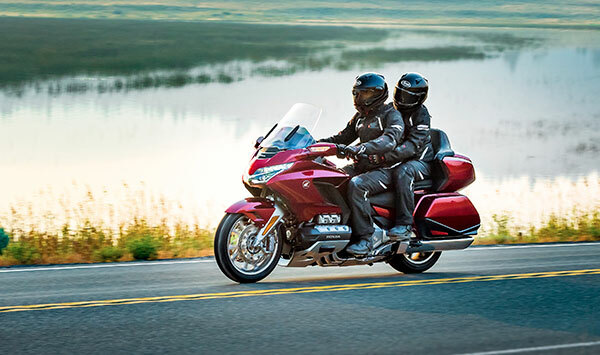 The Gold Wing 1800 comes in a sleek finish with an all-new slimmer and lighter form, along with a host of features that equips you with everything you need to escape and explore the world. Why not book your test ride on our demo model and be the first to get your hands on this stunning ride. Give us a call on 01895 676 451 or send us a message here and a member of our team will get back to you.